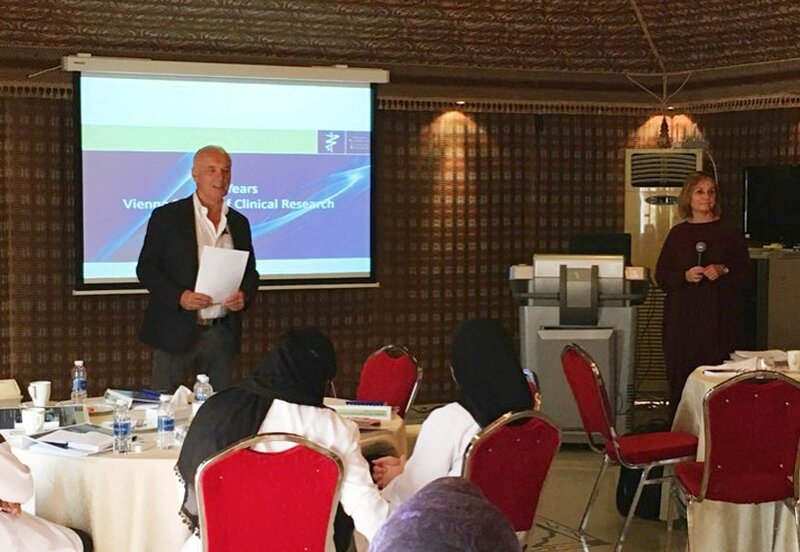 In October 2017 VSCR organized a 6-day workshop to deliver Good Clinical Practice (GCP) in partnership with King Fahad Specialist Hospital, Dammam, Saudi Arabia, King Abdul-Aziz Medical City Jeddah, and King Fahad Medical City, Riyadh. The content of the program focused on developing the capabilities to help to increase the research outputs and outcomes of researchers. 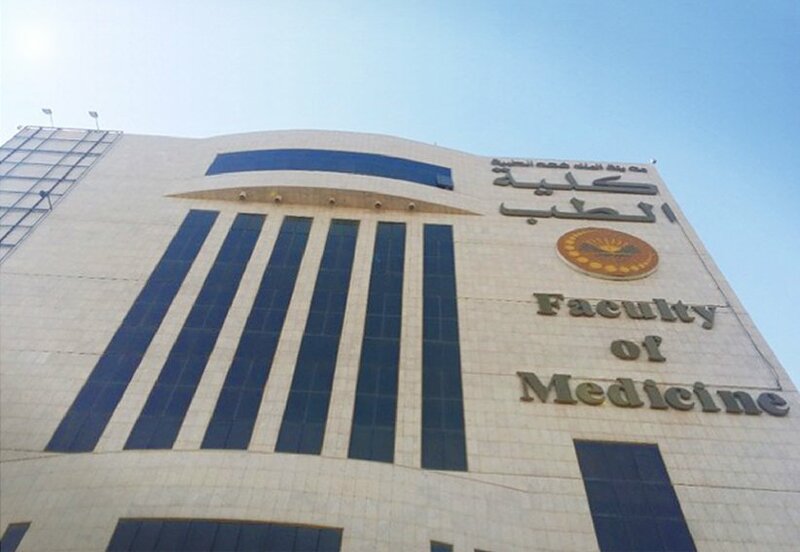 Recent Saudi government announcements describe strategic plans (Programe 2030) of the Saudi Kingdom to heavily invest into diversified structural developments including investments into R&D including the health care sector. Strategic plans are in place in Saudi Arabia to promote participation in international clinical trials (CTs) in the Kingdom. 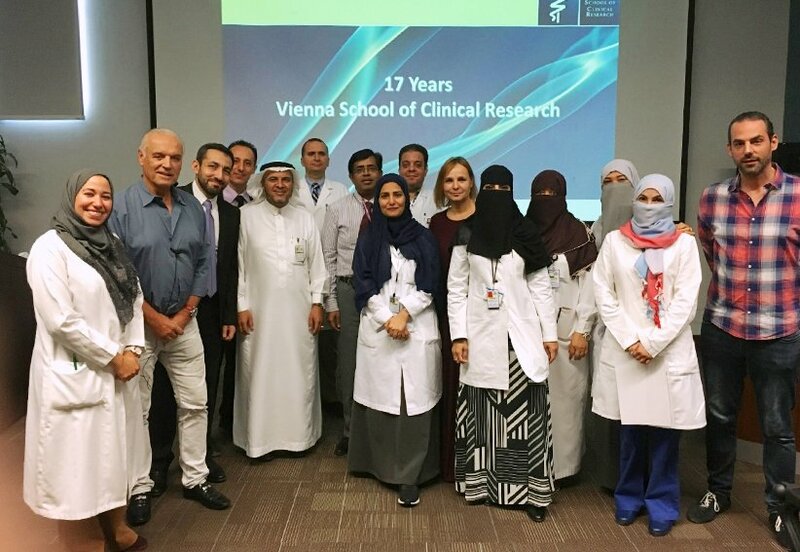 Highlighting the importance of these trials to foster advancement in the field of research related to human subjects, Prof. Heinrich Klech, the managing director of VSCR said “Clinical trials improve the standard of care of any clinical organization. They are the entrance door to international cooperation, access to publication, and continuous scientific exchange. Investments in clinical trials are fostering research capabilities and investments in organizations and infrastructure. He added that the workshops were organized “to raise the level of knowledge and research awareness as well as activities in the region. The gathering would also be beneficial to various stakeholders in the medical field not only for their daily practices but also for building research and long lasting networks”, he pointed out. 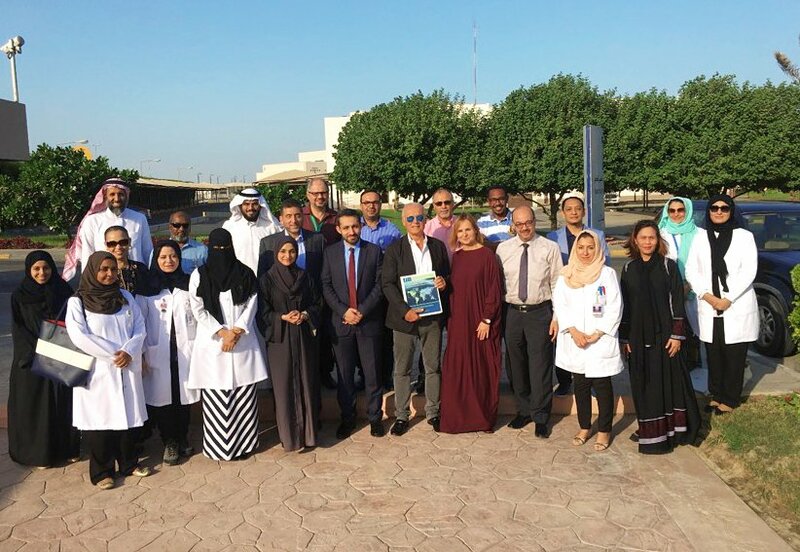 “The workshops were done in those strategic cities to familiarize researchers with the structure and content of regulations and guidelines prevailing in clinical trials”, said Dr Mona Aldabbagh, Section Head, Research Training & Development at King Abdul-Aziz Medical City, Jeddah.